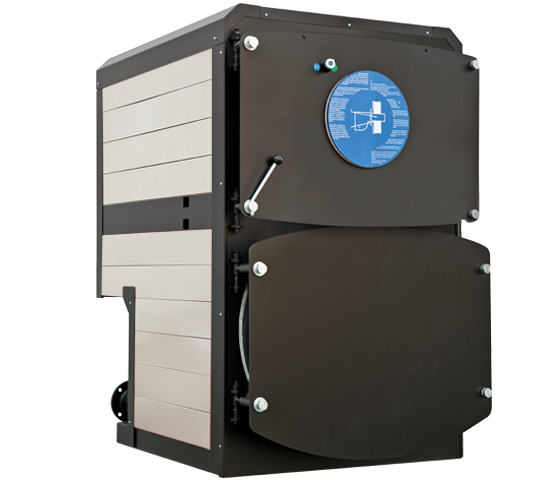 Three smoke passes condensation boiler suitable for NOx emission reduction, with low thermal load boiler body and prepared for operation with forced air gas burners. All internal parts in contact with combustion products and water containment plating are fully manufactured in titanium-stabilised stainless steel (AISI 316 Ti). This particular configuration allows a simple and easy application of the condensation on this boiler and on most of the existing systems. 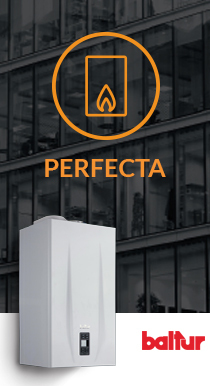 Prearrangement for single or modular installation. System return double flanged connection (for medium and low temperature). Internally heat insulated with ceramic fibre front door that can be opened on both sides.